The public and philanthropic sector faces a radical and ongoing change that’s not only transforming the way governments and nonprofit organizations work, but also how they are led and managed. Some of the factors that have served as drivers of change in the past few years include increased public scrutiny, increased demand resulting from the aging of population, and technological advancements that have put data at the heart of policymaking and management. The unprecedented aging of population, particularly across developed countries, has compelled governments to increase their healthcare budget and reevaluate pension-related policies to cater to the increasing needs. On the other hand, most developing countries that do not have adequate retirement plans in place are facing immense pressure from the public to introduce state-funded protections. The scenario within the education sector is not very different. Governments have introduced limits on tuition increments in order to widen access to quality education. However, poor quality of education provided by public schools remains a major concern for parents in developing countries. To cater to the increasing needs of the population and provide quality services in an uninterrupted manner, public institutions that previously relied on traditional methods of service delivery are investing time, money, and resources in technology. However, the number of organizations that are willing to invest in and adopt data-driven tools and technologies remains fairly low. Nevertheless, the understanding that a data-driven management approach is crucial for the performance of organizations, whether public, private, or nonprofit, has resulted in increased technology adoption. With governments, nonprofit organizations, and the education sector being asked to do more with limited resources, it has become essential for the leaders of the public, nonprofit, and education sector to devise a new strategy that can help drive productivity and lower operating costs. Developing such a strategy will require visionary leaders who not only have an in-depth understanding of the challenges, but also the skills and experience required to drive value by ensuring optimal use of the available resources. 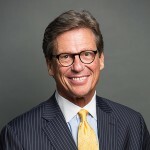 Allen Austin, as one of the leading retained executive search firms serving public and private organizations all across the world, has extensive experience of providing executive search and leadership advisory services. We use our tested approach to help clients gain access to a pool of highly capable executive-level talent that has the right skills, experience, and acumen required to drive an organization’s long-term success. Our executive search consultants understand that the recruitment needs of public institutions, nonprofit organizations, and schools and universities are entirely different from other industries. Therefore, we take our time to determine an organization’s leadership needs and then devise a foolproof strategy to help our clients find leaders who are capable of achieving the desired level of productivity with limited resources.